Depending on where you live in India, Diwali is observed anywhere between one to seven days. Most people in India start festivities on the new moon day of the month Asvina (Hindi) /Aippasi (Tamil) / Thulam (Malayalam) which falls in the Western calendar months of October/November (source). However, it is a peculiar thing that in Kerala, a state in Southwestern India, Diwali is not celebrated on the same day or with the same fervor (source). I was always curious why this is so. Why would Diwali be considered an all-India festival, but one part of the country is not observing it? Or if they are, why is it so different than the rest? I am still not sure have found all the answers to these questions, but I think I have made some progress. About seven years ago (2001) on my old site (here) I wrote about this very briefly, and was reminded of this today by my niece who ‘orkuted me’ telling me that she was surprised that Kerala decided to celebrate Diwali a “day early.” This was also was reported by the Indian Express online (Express buzz, here). This article did provide insight into why Diwali may be celebrated a day earlier in Kerala (and Tamil Nadu), as stated by the site, “There is yet another belief that Rama returned to his kingdom through Tamil Nadu. Hence, Deepavali is celebrated here a day ahead of north India.” This seems logical for anyone who has read the Ramayana and understands the geography of where the story takes place. I can accept this. After all, it would definitely take time to travel up from Sri Lanka to North India, even if you are a god with super powers! This answers why Diwali is celebrated a day early. It is not only celebrated a day early, but seems this may be the only day it is celebrated. So, then the next doubt arises, “Why does Diwali celebration start and end before rest of India and why is Diwali only celebrated for one day in Kerala while it is celebrated for up to a week in other places in India?” For the answer to this, I would have tirelessly searched the internet. But, I think I had to look no further than my own website! In reviewing two articles on my site "The Story of Diwali and Onam, I came to an interesting conclusion. One who reads these two articles very closely will find a similar ‘Onam story’ and “Diwali story’ though the characters names vary slightly. If one were to ask any Malayalee, he or she would gladly retell the story of King Bali or Mahabali and give this as the “Onam Story” or use this as a reason for celebrating Onam. However, this story happens to also be one of the Diwali stories or legends, in particular in relation to the Nakra-Chaturdashi day. The Nakra-Chaturdashi day is the second day of Diwali, which effectively would be two days after the day Kerala celebrated Diwali this year, or the date that this post is being released. After realizing that the same story/legend/myth is used to explain Onam and Diwali, it seems logical to me that only one festival or the other can be celebrated, unless of course, you omit the King Mahabali story for Diwali in favor of the other countless stories/legends that are available. Onam, being a grand festival lasting up to two weeks is long and boisterous (as well Diwali can be), and the fact Diwali comes so soon after Onam (within 1 ½- 2 months) its could be too hectic to have two really grand festivals, one after another, so Onam prevailed. The way I see it though, is Diwali is spreading in Kerala along with other previously uncelebrated Hindu festivals from other parts of India. For instance, this year for Ganesh Chathurthi, a murthi was created and immersed in Trivandrum (source – Trivandrum Rising blog). Everyone likes everyone else’s festivals, they are all bound to spread so all in India can enjoy. This being the case, when will anyone go to work when there’s always a party to go to, a party to plan for or a party to recover from? On Nakra-Chaturdashi day, people dedicate themselves to lighting lamps and praying. On this day, people believe that the lighting of lamps expels ignorance and heralds a future full of joy and laughter. The story behind this holiday tradition revolves around King Bali of the nether world. His mighty power had become a threat to the gods. In order to curb his powers Lord Vishnu in the guise of a small boy (batu waman) visited him and begged him to give him as much land as he could cover with his three steps. Known for his philanthropy, King Bali proudly granted him his wish. That very moment that small boy transformed himself into the all-powerful Lord Vishnu. With his first step Lord Vishnu covered the entire heaven and with the second step he covered the earth. Before taking the third and final step, Lord Vishnu asked Bali where he should make his third step. Bali offered his head. Putting his foot on his head, Vishnu pushed him down to the underworld. At the same time for his generosity Lord Vishnu gave him the lamp of knowledge and allowed him to return to earth once a year to light millions of lamps to dispel the darkness and ignorance and spread the radiance of love and wisdom. Want to know when is Onam or Diwali in 2009, 2010, 2011, 2012 and beyond? Follow my India America Interfaith and Social Calendar! Onam is a grand festival occuring in August - September in the state of Kerala. Diwali is the festival of lights occuring in October - November. I was always curious why Onam won out in grandeur to Diwali in Kerala. Click in to read my observations. Onam celebrations start in the Malayalam month of Chingam on Atham nakshatram and culminate on Thiruvonam nakshatram and is observed as Thiruvonam (Day of ONAM), the day it is believed that Mahabali comes to see his praja and rejoice. The days (nakshatras) of Onam celebrations are Atham, Chitra, Choti, Visakham, Anizham, Trikketta, Moolam, Pooradam, Uthradam, Thiruvonam (Uthradam is observed as Onnam Onam - first Onam, Thiruvonam - ONAM, and the next day i.e. Avittam Nakshatra as Moonam Onam - third onam). On all days, starting from Atham, flower arrangements are made on the foreground of the house. Often times, calendars outside Kerala, and especially US will quote one day only as Onam festival. The day quoted is actually ThiruOnam, not the first day. Diwali Dates- Mark Your Calendars! 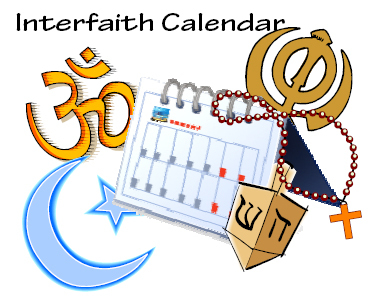 Subscribe to Interfaith/Secular (India America) calendar - free updates sent to your e-mail. Click on the image of Interfaith Calendar for more information. Author of this article, Jennifer Kumar is a multicultural mentor who is looking forward to meeting you via phone, Skype, e-mail or in person to help you explore your personal development as you create your cross-cultural lifestyle wherever you live. To know more about how I can help you on your Authentic Journey, visit my cross-cultural coaching website or send your questions to me at authenticjourneys@gmail.com. Thanks! More Information on cross-cultural and multicultural adjustment help - click here. Penetrating stuff, Jennifer! You've just given me a good dinner-table topic with my resident expert. Dear Jennifer, you have given the date for Onam as Aug 23, 2010, but there are other sites which gives the date as Sept 7,2010. Now which is the correct date and why? Thanks a lot. Interesting views indeed. I would just add that Rama was the so called Aryan King while Bali (Mahabali) was a Dravidian/Native King (demon as per the Aryan puranas)! So trying to make the Onam and Diwali sound similar might be a long strech, but yeah, a fun read! The fact is Diwali is hardly celebrated in Kerala by the native population. Yes, the merchant communities from other states and the mobile Malayealees has kinda begun this in earnest, but it is in no way a big event yet.